Our prices and times are based on you providing error-free, print-ready files. Correcting file errors may cost extra money and time. Take a few minutes to check your files using our handy online printing services checklist! Download the white papers throughout to learn about how to correct the problem itself. There are three main elements to know when setting up a document with a bleed. They are the bleed line, trim line, and safety line. If you plan on creating more printing projects in the future, bleed should be at the top of your online printing checklist. One important custom printing term to know is a bleed. Bleed refers to an extra 1/8" (.125) of image that extends beyond the trim area of your printing piece. The project is printed on an oversized sheet that is cut down to size with the appearance that the image bleeds off the edge of the paper. Trim line indicates where to trim the printed sheet or where the edge of the paper is to ensure that the edges of the printed document are printed correctly. Similar to register or crop marks. The trim line is the final document size. The safety line or inner margin is the area in which to keep all important elements (text, logo, and/or content) within to prevent them from trimming off. All important elements should be at least 1/8" (.125) inside the edge of the trim line. The cutting of your printed piece is done in large stacks and may vary from the top and the bottom of the stack. We prefer that any booklet files be sent as single pages, not spreads. In your files, page 1 should be the front cover and the last page should be the back cover (see below). If any Microsoft Word document is submitted, we require that you also submit a printable PDF document with your order. We prefer PDF files but also accept .TIFF, .JPEG, .INDD, .PSD, .AI and .EPS file types. If you're working in a program not mentioned above, files must be exported as a PDF. File and/or image resolution should be set at 300 dpi to ensure that the final document is not pixelated (fuzzy) when printed. Enlarging an image will lower the resolution while reducing an image will increase the resolution. Enlarging an image in a layout is NOT recommended. Images that are less than 300 dpi could reproduce poorly looking fuzzy or pixelated. An unfavorable image cannot be resaved as a different type of file. For example, you cannot place a gif file in Photoshop and resave it as an EPS file. This does not change the compatibility of the file. If you have to use low-resolution images we will print only after you consent to the quality. We recommend that all transparencies be flattened before file submission. We also ask that you set your fonts to outlines prior to file submission. Not flattening or outlining fonts can cause some items to fall off during file preparation for printing. Any files submitted without these things being done may result in items dropping out from your artwork during the conversion process needed to prepare your artwork for printing. Our prices and time frames are based on ordering online and providing error-free, print-ready files. File errors or extensive design edits may incure additional charges and/or delivery dates cannot be guaranteed. Ensure your files are correct before submitting them by following the requirements listed in the pdf file checklist above! A huge way programs make money for non-profit organizations, schools and businesses is the advertising. 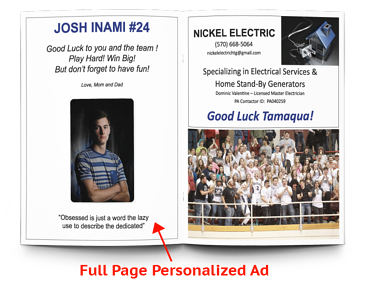 Program advertising can be sold to businesses and families, which can help to cover the cost of the program and add a nice profit to your bottom line! Not only are you creating a program that is beneficial, you become a prime source of ad space that sponsors are going to want to take advantage of. Many organizations have had great success in obtaining sponsors to support the cost of printing their event programs before they go to press and adding extra profits from the sales of the programs. Companies are often happy to buy exposure in programs, especially if it's presented to the viewer as "company X is proud to sponsor the Y team/college/event" etc. Business owners who are alumni often like to sponsor their alma mater, especially if the exposure makes sense as advertising as well. Anywhere students, parents, members, contacts and supporters frequent and shop. Use your imagination. What businesses would benefit from the exposure in your program? Relatives, friends, colleges, customers, members, contacts and supporters of your school or non-profit organization. The key is to show that advertising in your event program will benefit all parties involved and that it's a great way to advertise their business. Make sure the sponsor sees how they can benefit from the partnership and convince them that by buying advertising space in your program they’re making a smart marketing decision for their company. The business gets relatively inexpensive advertisement space compared to advertising in a newspaper. Who Should Sell the Advertising? The students (teams, clubs, band members, cheerleaders, etc.) or members of your non-profit organization or business are your most powerful selling tool. They are what it is all about and proof that the money from the ad sales is going to a good cause. They can pre-sell the program advertising to sponsors thus ensuring an extra profit from the sale of the programs. What school or non-profit organization are they supporting? What will the money will be used for? When does the event program begin and end? The size of ads and what they cost. Where the ad will be placed. And above all spread the enthusiasm to your sponsors, students, parents, families, friends, relatives, colleges, customers, members, contacts and supporters of your school or non-profit organization. 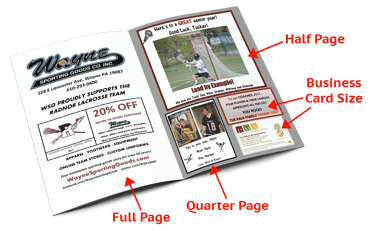 Different size ads can be sold to sponsors (full page, half page, quarter page, business card size, eight up on the individual page). Advertisers could put coupons and specials on their ads to entice them to buy their products or services. Players can be sponsored by family, friends, businesses, members, etc. Pictures ads of the student or members are purchased by the families and friends to show support and express best wishes for the student or member and gather support and enthusiasm from the community for your team, school or organization. Sponsors page (list of businesses). Keep a record of past sponsors to contact for next year's program. Nothing will beat taking the time to call your local businesses personally. Programs are sold at the game or event to make a profit. 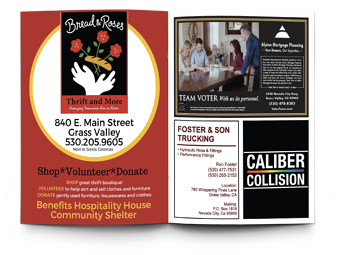 Now that we've shown you how program advertising can make money for non-profit organizations, schools and businesses, take these tips and apply them to your own event program. Not only are you creating a program that is beneficial, you become a prime source of ad space for local businesses and sponsors. To get started today, give us a call at 800-995-1555 or click the button below to order online! 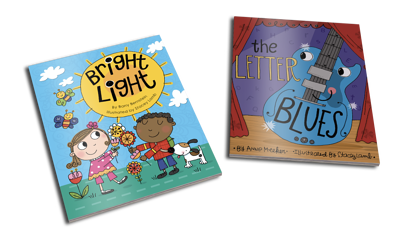 Dr. Anne Meeker is a children's book publisher and early childhood consultant who continues to take advantage of our short run printing and custom size options to create adorable children’s books, which she uses to support early learning and kindergarten readiness. Anne says it all started when she retired as a music therapy consultant for a large school system in the Kansas City area, where she piloted a program to support early learning in a variety of creative and engaging ways for young children, including picture books, music videos, play activities, and songs. 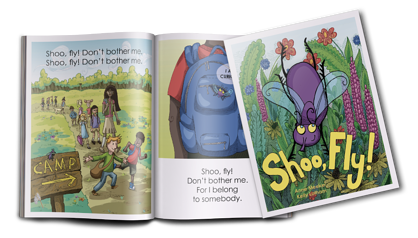 She wanted to further develop this program and make it available to everyone so she created SING.PLAY.LOVE., an organization dedicated to expanding this educational program. When getting started there were some complications. Most publishers want a minimum order for each book, but Anne wanted to test the waters with some samples first. “We printed a few and made significant changes to the books on the basis of focus group data. We ended up throwing out two illustrated books completely, and started over with new illustrators,” says Anne. 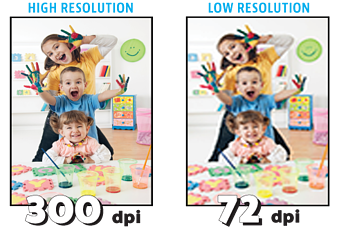 Since we offer quantities of 10 and more here at PrintingCenterUSA, printing with us seemed like a logical and cost-effective way to produce further test copies. Anne was sold after our first book together. 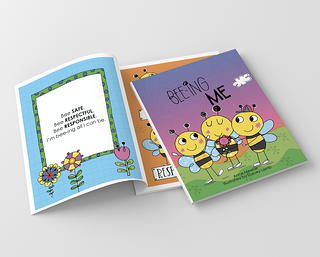 “Your colors are so vibrant, I love the feel of the paper in my hands, and your prices are competitive with other online publishers. I also like that we have relationships with people we interface with on the books.” While we publish the books, Anne works with several people to design and create them. She has illustrators who do the drawings and she has an art director who places the art and adds text. Her advice when working on the design is to have lots of eyes on your final product before it goes to press. “When you look at a project for weeks, you lose the ability to see the mistakes,” she says. SING.PLAY.LOVE. 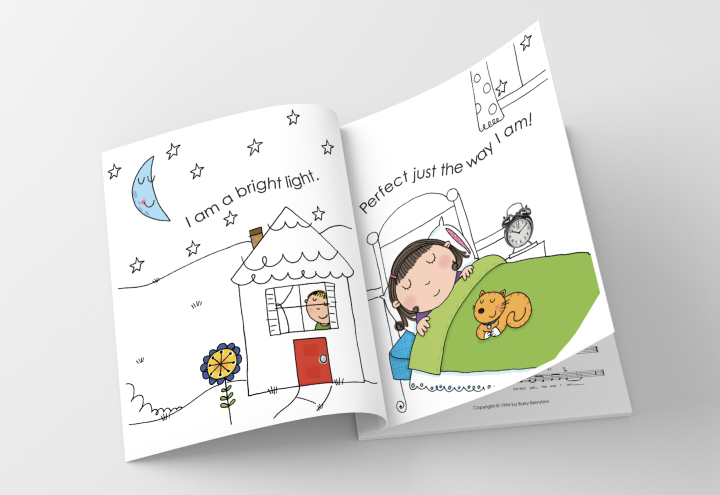 has several more upcoming projects including books called “Old House” and “The Ballad of Humpty Dumpty.” “Old House” is the “baby” of their newest illustrator, and Anne is in love with her work, as well as the amazing art of all her talented illustrators. She says it’s important to use different illustrators so the children can experience different styles of illustration as well as different styles of music. Not only does she love the look and feel of the products we produce, but we are just the right fit for Anne’s projects by offering short run digital printing for smaller quantities and custom sizes. SING.PLAY.LOVE helps promote early childhood learning and development and we are proud to be a part of the process. 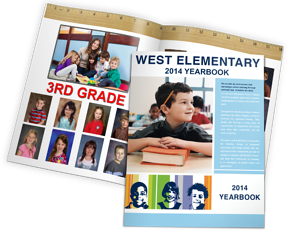 Are you running late on your school’s yearbook or spring insert supplements? Want to show more of your spring activities in your 2016-2017 yearbook? PrintingCenterUSA is here to help! 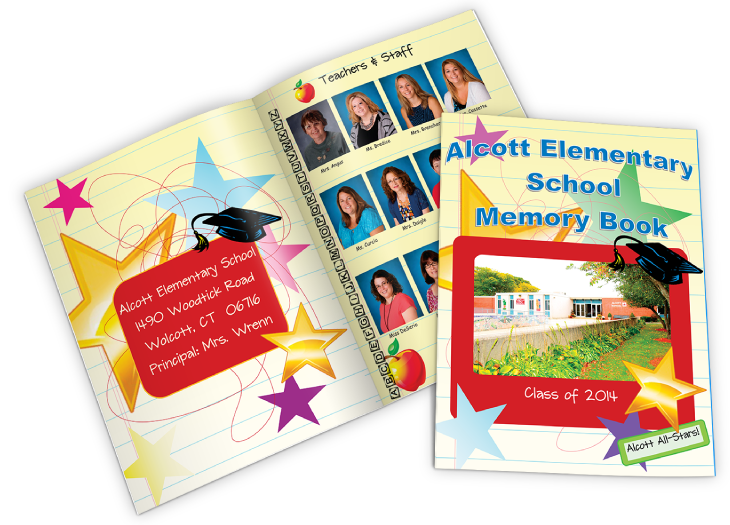 Whether you choose to upload your own design files, utilize our free templates, or create your book using our online design tool, we make online yearbook printing easy and will deliver them to you quickly and at a reasonable price! Quick Tip: Be sure to double check our handy checklist to ensure that your files follow our file requirements – this will help with catching any errors that may cost you extra money and time. This checklist can be found by selecting the "File Checklist" tab on the Yearbook Printing page. If you have Adobe design software, we have FREE downloadable templates available for you to use in order to ensure that you have all the file requirements and specs correct the first time. 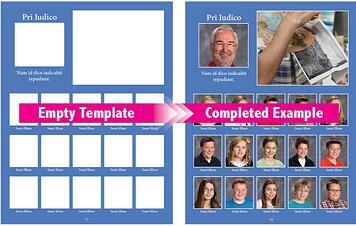 Using our blank templates is great because the files are already checked and have the proper format we need to print. Use our templates to help you double check your designs so that when you submit your order, your files are error free! If you don't have design software, our online photo book designer may be just what you are looking for. Just upload your images, drag and drop and we’ll make it pop! If you're having a hard time using our design tool, check out our frequently asked questions resource page. When Will I Receive My Yearbook? After we receive your order, our file technicians will review the files to ensure that everything is designed correctly and will then send you a proof of your yearbook. Once you approve your proof, your order will go into production and your yearbooks will be delivered to your doorstep in 4 to 7 business days. Summer is on its way so be sure to visit www.PrintingCenterUSA.com as soon as possible to order your yearbooks and to ensure that they are delivered by the time school is out of session!